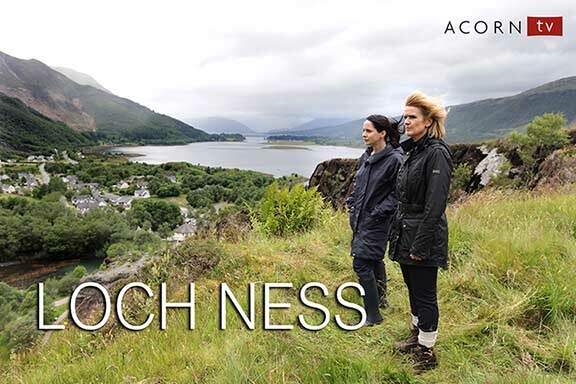 We caught the first episode of Loch Ness a new mini-series on Acorn with six episodes. The show stars Laura Fraser (Breaking Bad, The Missing) and Siobhan Finneran (Happy Valley, Downton Abbey) and we really enjoyed it. The show starts when some kids play a joke and fake a freshly dead Loch Ness monster with bones and entrails. The problem is that someone put a human heart in with their practical joke. Relationships are complicated in this little village with a very famous monster. So far it's more mystery than fantasy. Acorn offers a free trial series so you can check it out. It runs on Mondays but Acorn lets you catch up on everything. They have lots of other mystery programs as well.